For anyone used to using MS Windows own Task Scheduler, System Scheduler is an ideal and easy to use replacement, with great flexibility and features. System Scheduler runs totally independently of the MS Windows Task Scheduler and has no dependencies on it. 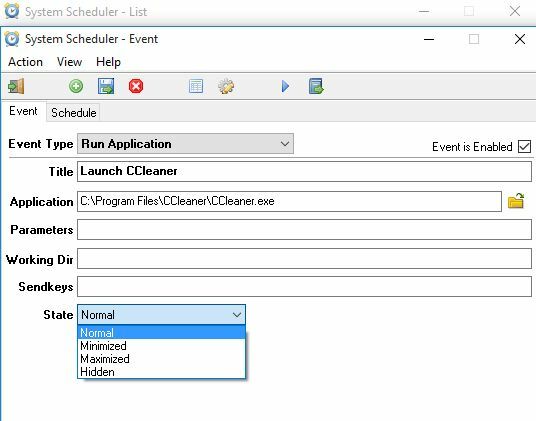 System Scheduler not only allows you to launch programs at scheduled times but also to send keypresses and mouseclicks to those programs. This allows you to not only schedule programs to run overnight or at the weekend but also get those programs to do useful things while unattended. A really powerful feature. Finally, the Free vesion of System Scheduler also includes a Window Watcher feature. The program will check for the existence of a particular window and send keypresses or send the window a close signal to terminate running applications. Useful for triggering actions or handling error messages while you are away.